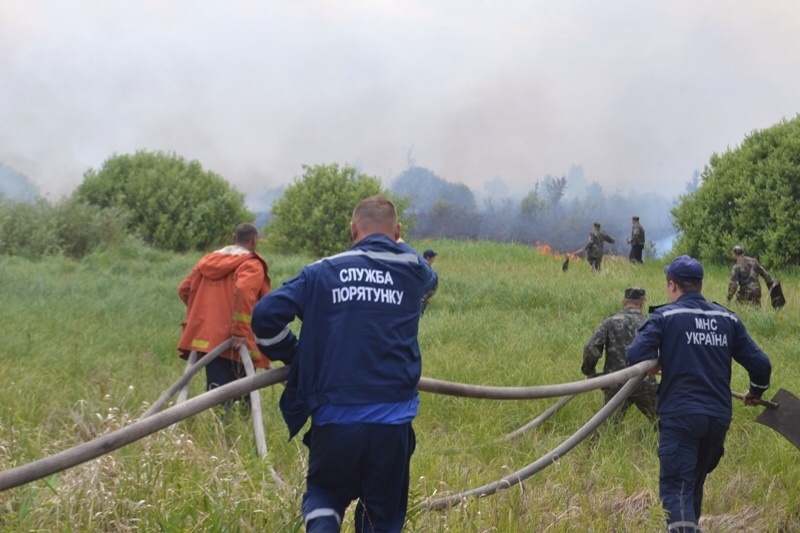 In April of this year, and again from the end of June into mid July, hundreds of firefighters in the Ukraine bravely battled fires in the area of the Chernobyl nuclear power station. Smoldering peat fires were the hardest to put out. While this represents a serious danger to Europe, it received shockingly little media coverage. 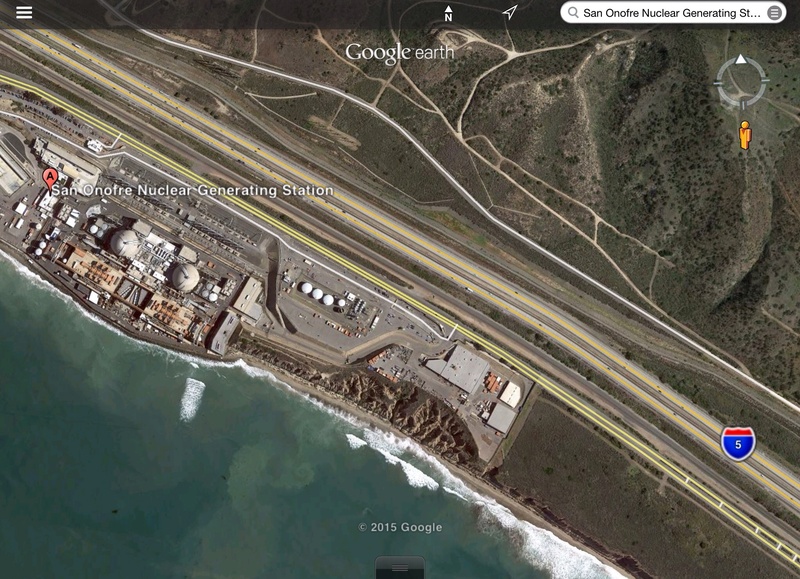 However, NASA took note of the fire and its proximity to San Onofre Nuclear Power Station. 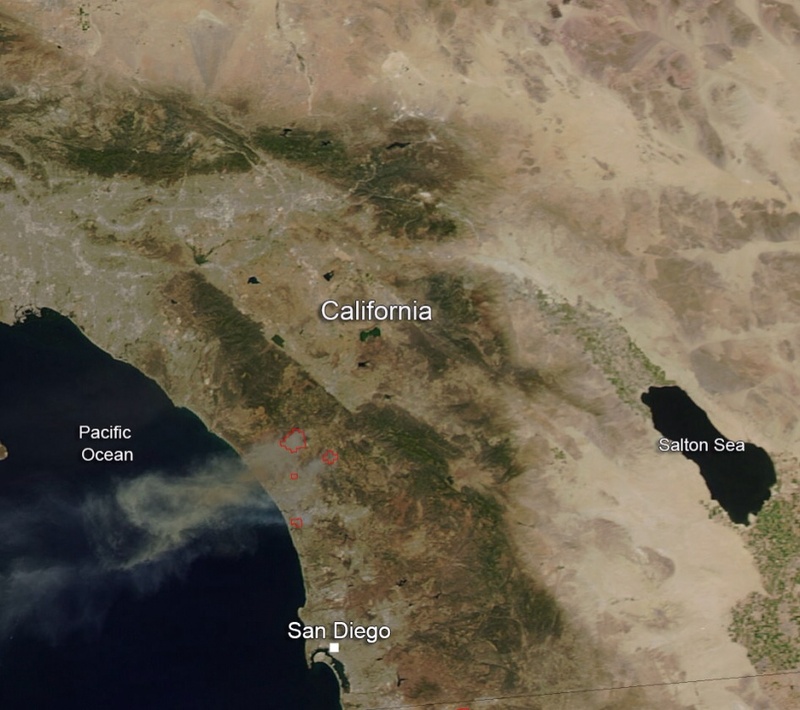 The single fire that ignited and split into nine separate fires still blazes in Southern California today. Firefighters are hoping for a break today (Thursday, May 15, 2014) but it doesn’t look like luck may be on their side. Conditions continue to be bone dry with unseasonal heat (98-106 degrees) and the Santa Ana winds are kicking up and allowing these fires to easy jump fire lines. 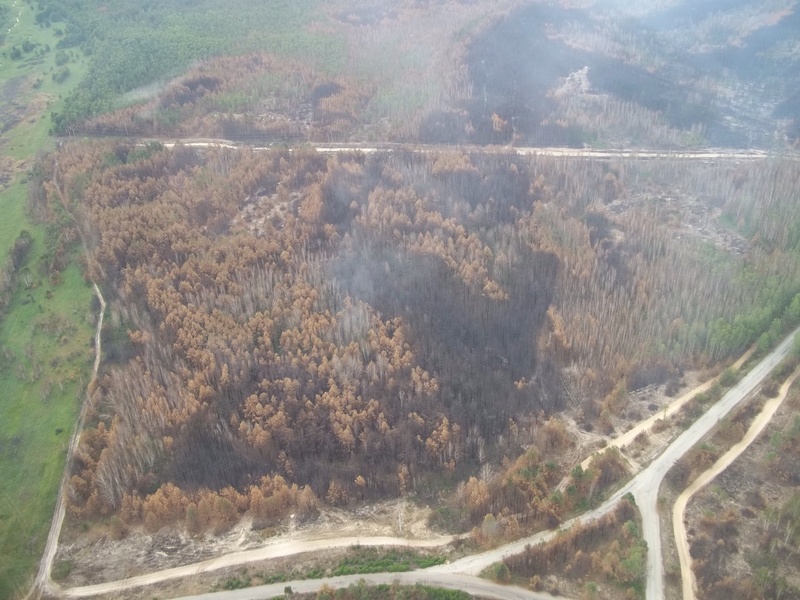 This particular fire started on Wednesday as a single fire and within a day is now nine separate fires which have burned close to 10,000 acres. These fires are threatening more than just landscape in San Diego county, they are also threatening homes, universities, a military base and a nuclear power plant. Day Two of the fires have seen them already destroying dozens of homes and forcing tens of thousands to evacuate. 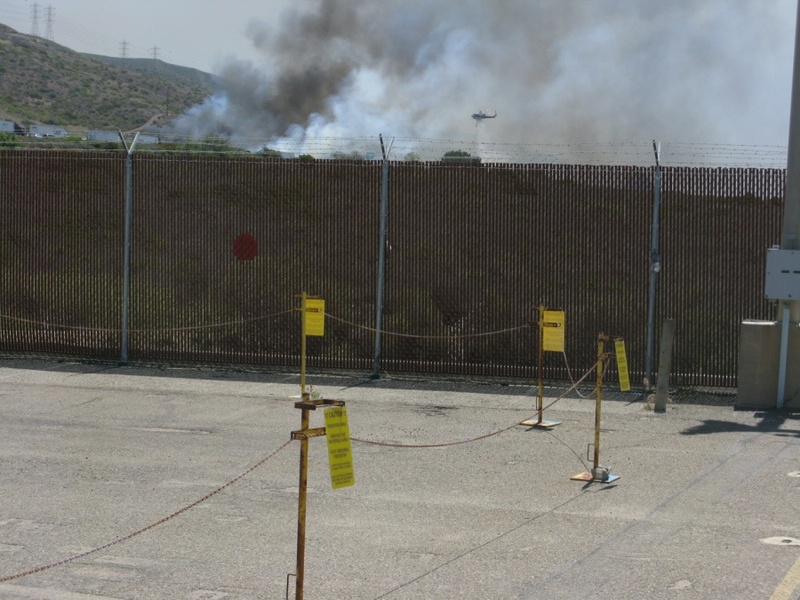 Camp Pendleton has also been partially evacuated due to the blazes as has the popular amusement park, Legoland. The Governor of California has declared a state of emergency. Thousands of firefighters are battling the flames both on the ground and in the air. Seven tankers and 20 military aircraft are also assisting the firefighters with their mission. Temperatures soaring over 100 degrees coupled with 30 mph wind gusts have severely hampered the efforts, however, and fire tornadoes have broken out. Fire tornadoes are caused by crosswinds that create a vortex and produce winds that twist and swirl just like a tornado but with flames that coil upwards in the center of the twister creating a terrifying specter. Although there is no chance of rain in the area for the next several days, the temperatures will start to subside on Friday and into the weekend. Winds are also expected to start to subside, giving firefighters that break that they so desperately need. The San Onofre fire staff has been reduced. The nuclear plant’s fire and rescue vehicles will be donated to new homes soon, according to Patrick Baughman, San Onofre fire marshal. San Onofre now has an agreement that makes the Camp Pendleton Fire Department the primary firefighting force for the nuclear plant. No details were provided about how this may affect ratepayers and local emergency services in this Southern California Edison July 9, 2015 news story. Evacuation zones described below are no longer in place for communities impacted by a radiation release from San Onofre. However, the rest of the information on this webpage is still relevant…. In NUREG 2157, Sept. 2014, based on NUREG–1864, “A Pilot Probabilistic Risk Assessment of Dry Cask Storage System at the Nuclear Power Plant,” the US NRC makes the worst case scenario for a dropped dry cask of spent nuclear fuel, an exposure of as high as 1850 mSv. http://pbadupws.nrc.gov/docs/ML1419/ML14196A105.pdf This exceeds the ICRP maximum annual exposure of 1mSv max by 1850 times and the ICRP emergency exposure dose of 100 mSV by 18.5 times. 1.85 sieverts (Sv) is 1850 millisieverts (mSv). Based on the NRC’s 1850 mSv, which may well be an underestimation, an estimated average of 21% (2143 people per 100,000) would suffer excess cancers-untimely death, apparently above and beyond the up to 5% who could die within 6 to 8 weeks. The excess cancers-untimely deaths could be as high as an estimated 51,800 cases, according to the US gov’s BEIR report (Per 100 mSv up to 2500 cancer avg. female and up to 300 leukemia avg. male; multiply by 18.5 for 1850 mSv). Excerpt: “As of today, the NRC has failed to require reactor operators to complete implementation of a single one of these post-Fukushima safety measures. Some reactor operators are still not in compliance with the safety requirements that were in place BEFORE Fukushima. And the NRC has only completed its own action on 4 of the 12 Task Force recommendations. This is an unacceptable delay that puts the safety of the American people at risk. I also have serious concerns about the safety of spent nuclear fuel. NRC’s own studies show that the consequences of a fire at a spent nuclear fuel pool can be as serious as a severe accident at an operating reactor. 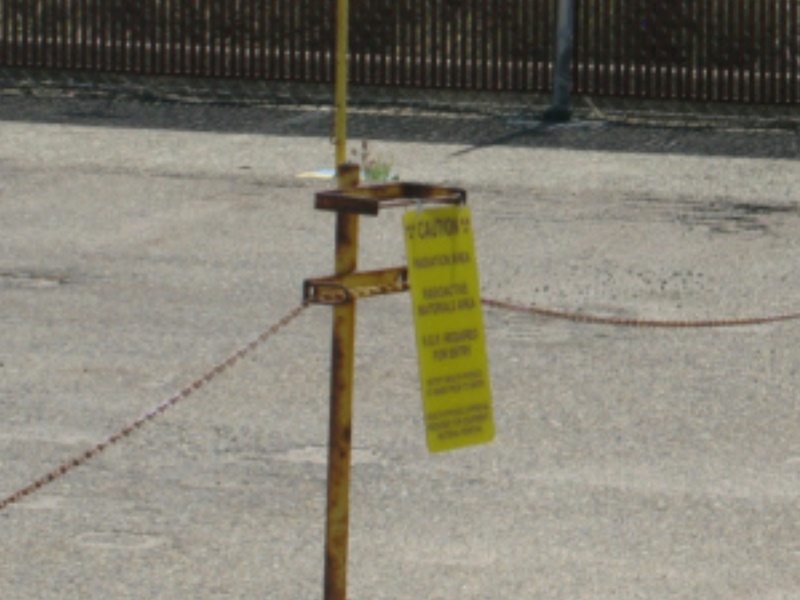 Not only does NRC allow that fuel to be stored in the spent fuel pools indefinitely, NRC is considering requests from decommissioning reactor operators for exemptions from emergency response measures designed to protect nearby communities. While the Nuclear Energy Institute claimed in a letter sent to me yesterday that these exemptions are granted only when “special circumstances” exist at a facility, the truth is that NRC has never once denied one. It rubber-stamps them every single time a reactor shuts down. I have introduced three bills with Senators Markey and Sanders to increase the safety of spent nuclear fuel and improve the decommissioning process. These are not theoretical concerns. On the same day that this Committee held a hearing on this topic last month, an out-of-control wildfire was burning a half a mile away from the San Onofre nuclear plant. My concern about NRC’s commitment to identify and remedy safety problems is also highlighted by my investigation into the installation of defective equipment at San Onofre. For example, I learned that NRC staff was preparing to allow the re-start of one of the reactors before it had received a single answer to any of the technical safety questions it asked Southern California Edison to submit. This oversight investigation is important, not only to get to the bottom of the problems at San Onofre, but also to avoid disastrous problems like this in the future. I am also concerned that whistleblowers at NRC feel they have no recourse but to contact Congress to report safety problems, because NRC’s internal procedures for addressing these concerns are broken. (Emphasis our own here and throughout blog post).